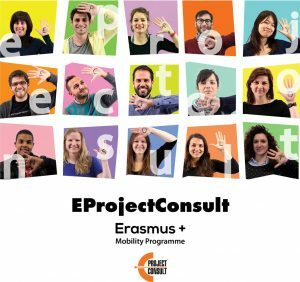 The 4th March 2013, in Barcellona Pozzo di Gotto, Sicily, started the activities of the EUproInternIII project, financed in the frame of the mobility program Leonardo da Vinci. As agreed with the German sending organisation Fairbund e.V. (http://www.verein-fairbund.de/), the implementation in Italy of the project is undertaken from the EProjectConsult office, International department of the “A Rocca” NGO. The participants are five (5) German people who are going to perform a training and learning experience from the 3rd of March to the 28th of April 2013.
language teaching (at the Scuola di Lingue – Speak up http://speak-up.it/index.php), EU project management (at Eprojectconsult www.eprojectconsult.com), Architecture (in cooperation with the Arch. Imbesi Filippo http://www.barcellonaricerchestoriche.it/ and the Prof. Pietrini Mariano http://www.marianopietrini.com/, art&craft (at Fabbrica d’arte 332) and leisure & sport (at Palestra Planet Fitness). Target is to develop the perspectives of participants, according to each one’s skills and expectations. Further the training outcomes, participants will receive Italian courses lessons from teacher who is expert in working with foreign students. The lessons are divided in two groups for elementary and intermediate level, according to the profile of each participant, and the total duration of the course is 48 hours. Moreover, in the project is included the organization of an interesting intercultural program with excursions, concert, Happy Hours etc. Specifically, the excursions are going to take place in the cities of Milazzo, Messina, Tindari and Taormina. Moreover, in occasion of the visiting to the Jalari Park Museum (www.parcojalari.com) they will have the opportunity to attend a music concert with traditional folklore music.